I’ve got a confession to make: I love Sci-Fi movies just like the next random dude. You know, those movies in which people’s jobs are taken by robots. But wait, that’s not Sci-Fi anymore! Take Japanese insurance company Fukoku Mutual Life, for example. The company has recently laid off 34 of its workers, replacing them with robots. No, not with evil-looking humanoid robots, but with an artificial intelligence system that is able to calculate insurance payouts without requiring any human input. The company is happy now, because the robot is supposed to increase productivity by 30%, while saving them over 1 million dollars each year. Who wouldn’t be happy under these circumstances? Well… the former employees, I guess! But for most employers, that’s just collateral damage. Long live the machines! Even though, when it comes to robotics, I see several activists who have started to fight for humans’ rights. A bold initiative wants robots to pay taxes, just like humans. The money would be used for the good of the people that they – the robots – are replacing. Truth be told, others have started to discuss the robots’ rights! Just read an article in which one of these people was fighting for the robots’ right to retirement and a pension! Really? But I digress, so let’s get back to our news. Fukoku uses an artificial intelligence system which is powered by IBM’s mighty Watson – a huge computer, in case that you were wondering. The system is able to read and interpret medical certificates and other health related documents and information. In fact, let’s hear it straight from the source: “Watson can analyze and interpret all of your data, including unstructured text, images, audio and video”. Sounds pretty scary, if you ask me. As you can guess, Fukoku is not the only company that’s interested in replacing humans with AI-equipped robots. It is estimated that about 7 million people will lose their jobs to robots by 2022. While you are sleeping (hopefully, at night), short term memories turn into long term memories. This allows the stabilization, enhancement and integration brain processes to be performed properly. As a direct consequence, information is properly organized and can be recalled whenever it is needed. Researchers plan to do the same thing with robots; they intend to make their artificial intelligence systems learn just like humans do, through experimentation. Until now, AI progressed by analyzing data – lots of it! – and discovering various patterns. The goal of the new research is to make robots run experiments, and then analyze the results of the experiments on their own. It is going to be an extensive learning experiment, because the robots will need to analyze lots of data. Scientists have recently announced that unsupervised robot learning has become ten times faster in comparison with the classic, supervised learning process. Science has discovered the important role that dreams have in the process of memory consolidation. 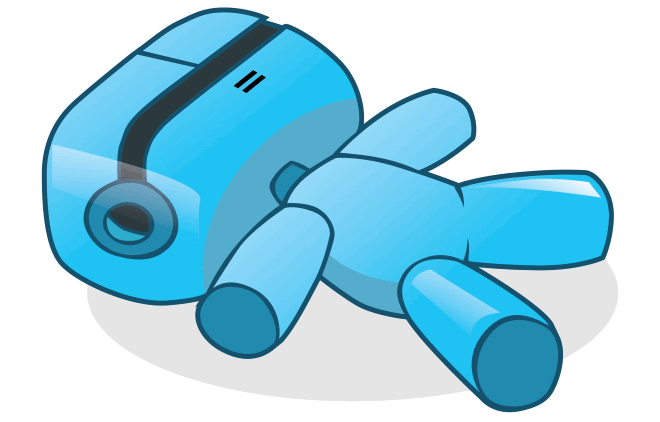 Google’s DeepMind is a daring attempt to teach robots how to dream, with the goal of making them learn much faster.